Conjure, also known as Hoodoo or Rootwork, is an old, powerful, and increasingly popular system of North American folk magic. Conjure�s roots derive primarily from West and Central African spiritual traditions, but it has also been influenced by Christianity, Jewish mysticism, and Native American practices. Hoodoo Sen Moise has been studying this tradition and working with Conjure for over 35 years. 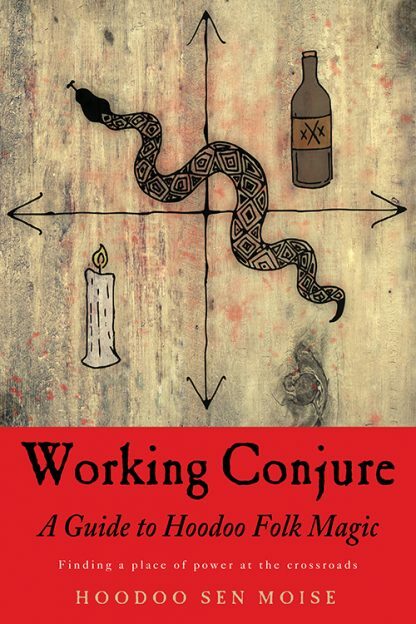 Here in Working Conjure, he explores Conjure�s history, principles, fundamentals, and ethics, while simultaneously providing a practical how-to guide to actually �working� Conjure and making Conjure work for you. Hoodoo Sen Moise (pronounced mo-eez) was raised in Southern Conjure and Hoodoo. As a child, he was taught by his grandfather to speak with the ancestors and, by the age of four, was able to see the spirits and had learned to open the door to power, wisdom, and service. He is now among the foremost authorities on the topic and also an initiated practitioner of several African Diaspora traditions. Hoodoo Sen Moise resides in New Orleans, where he is co-owner of the shop Conjure New Orleans with author Starr Casas. He teaches in New Orleans, Salem, and elsewhere in the United States. Working Conjure is his first book.